El Dorado, the name conjures images of the mythical city of gold ruled by El Rey Dorado, The Golden King. A legend of a South American tribal chieftain, who would be completely covered in gold dust as part of an ancient ritual. The chieftain would travel with a decorated raft to the middle of a gigantic lake and offer a sacrifice of gold to the god-monster they believed lived in the lake. With this ritual the chieftain was recognized as king. Many have died searching for the gold of El Dorado. Tonight I get to be one of the explorers searching for the mythical gold, hopefully with better luck. El Dorado Special Reserve 15 Year Old Rum is packaged in a box embossed with gold-lettering and decorated with pictures of Brigs sailing on the great Demerara River. The bottle itself is an attractive green glass bottle reminiscent of the hand blown flasks used in the navy centuries ago. The label features the same Brigs on the great Demerara River as seen on the box. The bottle also has a plastic seal with gold colouring that glistens in the light like the real thing. This Guyanan rum certainly raises a lot of expectations as it has won multiple gold awards and is the only rum to have received the coveted Wray and Nephew Trophy. But the question remains, is El Dorado Special Reserve really that good? The first thing I notice about this Demerara rum is the spectacular dark copper colour with golden hue, previously hidden by the green glass of the bottle. Next is the viscous appearance of the rum in the glass after the compulsory swirl. The thick nectar forms a line on the sides of the glass, steadily making its way downwards. The heavy nose is very sweet and extremely smooth with little to no sting from the alcohol. Robust as the colour, El Dorado's nose consists of multiple aromas of dark fruit, molasses or brown sugar and lovely balancing banana. El Dorado Special Reserve 15 has heaviness typical to Demerara rums but does not feel quite as heavy as the nose would let you assume, but it certainly is as smooth and complex. Sweet dark fruits emerge, closely followed by molasses and coffee after swallowing the rum. El Dorado 15 gives me a warming sensation in the throat and the chest. Weak floral notes also make a short appearance as well as banana in the nose as I breathe out but they are quickly swept aside by the sweetness of this rum. This rum has a very pleasant aftertaste - Flavours of coffee and sweetness in the mouth that is as long lasting as the flavours of banana in the palate. 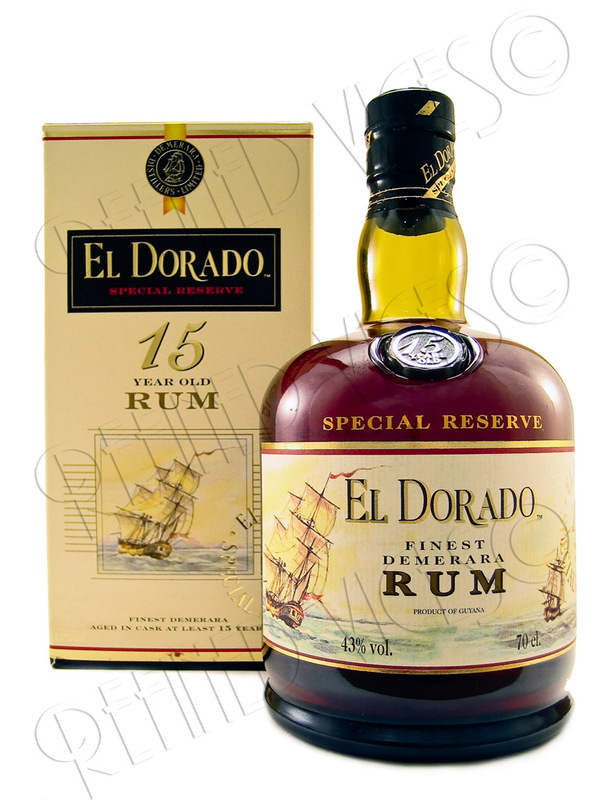 Though I've long since swallowed the rum, the presence of El Dorado 15 can still be felt as a warm glow in the chest. I could easily imagine sipping this rum with an equally robust cigar and I will once I get the opportunity. Pleasing to behold, a pleasure to have. El Dorado Special Reserve 15 Year Old Rum is truly an exquisite rum that more than lives up to the high reputation set by the community. 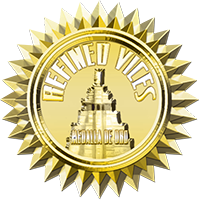 What better an award to give El Dorado Special Reserve 15 Year Old Rum than the Refined Vices golden medal that has a depiction of the mythical city of gold itself? El Dorado 15 Year Old is a Single Blended rum made predominantly with distillates from the historical Port Mourant double wooden pot still and the Diamond copper Coffey stills. 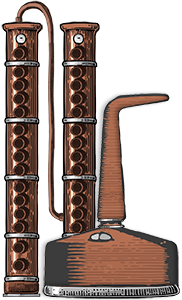 Distillates from the Versailles single wooden pot still and Enmore wooden Coffey still are also present in the blend. Have you tried any of the rums in the El Dorado rum range?